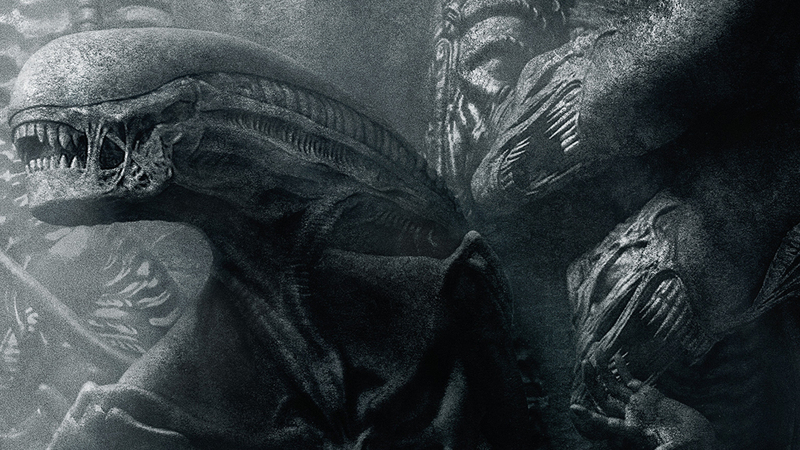 The release of Ridley Scott‘s sequel to Prometheus is only a couple weeks away and 20th Century Fox continues to gift us with tantalizing teasers of the latest chapter in the Alien saga. We previously got a prologue video that explained what happened to Dr. Elizabeth Shaw (Noomi Rapace) and the android David (Michael Fassbender), a sneak peek into the future of android technology with a “commercial” for Weyland-Yutani’s Walter (also Fassbender) model, and two short promo videos containing crew members Oram (Billy Crudup) and Daniels’ (Katherine Waterston) final transmissions home. The latest release is another final message, this one from Tennessee (Danny McBride), who shares one last drink with his “little baby brother” and confesses to the “suckers” at Weyland-Yutani that he has a criminal background that includes punching a police horse in the mouth. Alien: Covenant opens in theaters on May 19, 2017.